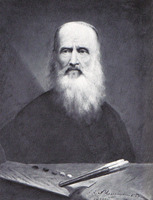 PROVANCHER, LÉON, Roman Catholic priest, naturalist, author, publisher, and editor; b. 10 March 1820 in Bécancour, Lower Canada, the son of Joseph-Étienne Provancher and Geneviève Hébert; d. 23 March 1892 in Cap-Rouge, Que. Léon Provancher’s predilection for the natural sciences developed in his childhood. As a boy he was greatly impressed by a shellfish fossil discovered by workmen digging a well. This seemingly trivial event aroused his curiosity and his interest in nature. When still very young he learned the names of a great many plants and trees. In 1834 the award of a bursary enabled him to enrol in the Séminaire de Nicolet, where almost every year he won the prize for horticulture. He finished the two-year philosophy program at the age of 20 and began studying theology. At the same time he taught syntax, method, belles-lettres, and rhetoric. He was ordained to the priesthood at Quebec on 12 Sept. 1844, along with Jean Langevin, Antoine Racine, and two others. 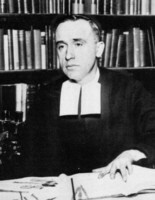 Provancher was appointed curate first in his native village, and then in the parishes of Saint-Roch at Quebec, Saint-François (in Beauceville), Sainte-Marie, Saint-Gervais, and Saint-Henri-de-Lauzon (Saint-Henri). In 1847 he went to carry out his ministry on Grosse Île, among the unfortunate Irish decimated by typhus. The following year he became parish priest of Saint-Victor in the Beauce region. He now resumed his work in horticulture and tried to learn how to graft trees and shrubs. Appointed curé of Saint-Jean-Baptiste on L’Isle-Verte in 1852, he became interested in the flora and fauna found along the St Lawrence, especially the shellfish. 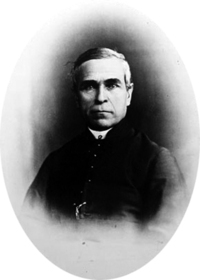 In September 1854 Provancher became parish priest of Saint-Joachim, where he showed his initiative by reconstructing the outbuildings owned by the fabrique, repairing the presbytery, enlarging the church and installing a heating system, erecting the steeple, procuring new vestments, and arranging to have the parish buildings insured. In his search for new sources of revenue, he decided to put the pews up for sale on an annual basis, including that of the seigneur which belonged to the Séminaire de Québec. The seminary brought suit against him and he was forced to respect seigneurial rights. Provancher did not give up the natural sciences. In 1857, under the pseudonym of Émilien Dupont, he published Essai sur les insectes et les maladies qui affectent le blé. This text had been entered in a contest sponsored by the government in 1856 to solve the problems that had plagued grain farming in the province ever since the arrival of the Hessian fly in the 1830s. 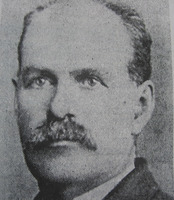 Provancher won third prize. In 1858 he published Traité élémentaire de botanique . . . ; the first work of its kind in Canada, it was used in educational institutions for many years, until the publication of Louis-Ovide Brunet*’s Éléments de botanique et de physiologie végétale . . . (Quebec, 1870) and Jean Moyen’s Cours élémentaire de botanique et Flore du Canada . . . (Montreal, 1871). In 1861 Provancher met Brunet, who was then a professor of botany at Université Laval, and collected plants with him in various regions of Lower and Upper Canada. Fascinated by the many insect parasites on plants in his garden, Provancher began to study entomology under William Couper*. He asked Spencer Fullerton Baird, of the Smithsonian Institution in Washington, to let him know what American works might be most useful to him in this field of science. He also requested New York entomologist William Henry Edwards to send him entomological pins. Provancher’s brusqueness, strong personality, and outspokenness eventually began to give serious offence to the priests at the Séminaire de Québec and the parishioners of Saint-Joachim. After several reprimands, he was assigned by the archbishop of Quebec to the parish of Notre-Dame-de-Portneuf in 1862. Provancher participated in securing the civil erection of the parish, and he helped stabilize the finances and make various repairs and improvements to the church. He organized a confraternity of the Franciscan Third Order and tried, without success, to get permission from the archbishop to establish a convent and a girls’ boarding-school. In the struggle against alcoholism within the community, he set up a shipping company to prevent coasting vessels from delivering liquor to Portneuf; he had his flock build the Portneuf, which for some time was the only steamboat to ply between Quebec and the parish. With the help of a nephew, he also set up a fruit-tree nursery to serve as a model for farmers. Provancher devoted his free time to entomology. He established good relations with a few Canadians and numerous Americans who were well known in the field, and he carried on a productive correspondence with many of them. He often sent them boxes of insect specimens and asked them to verify his identification and solve difficult cases for him. Later, when he became more familiar with the groups of insects that especially interested him, and when his correspondents considered him an expert, he kept up a more active exchange with some of them. During the summer of 1862 Provancher published Le verger canadien . . . , a text that revealed his mastery of horticulture. This work, which went through three printings, contained all the information necessary for successfully growing fruit, vegetables, and flowers in Lower Canada. In the same year he received a government grant enabling him to publish Flore canadienne . . . in two volumes. He borrowed freely from American writers. When American botanist Asa Gray recognized his illustrations in the publication, he criticized Provancher severely and went so far as to ignore him in his own works. Most professional botanists eventually followed Gray’s example, and Flore canadienne fell into disuse. Nevertheless, for more than 70 years Provancher’s work remained the handbook of French Canadian amateurs until the publication in Montreal of Flore-manuel de la province de Québec by Father Louis-Marie [Louis Lalonde] in 1931 and of Flore laurentienne by Brother Marie-Victorin [Conrad Kirouac*] in 1935. In 1868 Provancher thought the time had come to found a French-language journal devoted to natural history. He launched Le Naturaliste canadien as a vehicle for scientists to publish their observations and discoveries and for amateurs to take up the study of nature. About 400 people ordered the first issue in December 1868. From the outset Provancher declared that he intended to devote a good deal of space to entomology, but his magazine also served as a forum for his ideas on a host of other topics. Meanwhile, Provancher’s quick temper and assertiveness, his unconciliatory behaviour, and his impatience had once again led to serious differences with his parishioners. From 1866, tired of parish ministry, he tried unsuccessfully to find a new occupation. On the advice of the archbishop of Quebec, he submitted his resignation from parish work on 17 Sept. 1869. He settled at Saint-Roch in order to be near the main libraries and other naturalists. Provancher soon became bored with urban life and in 1872 decided to move to Cap-Rouge. From May 1875 to December 1876 he was editor of the Gazette des familles acadiennes et canadiennes, founded by Abbé Nazaire Leclerc* in 1869. In 1888 he launched La Semaine religieuse de Québec, primarily for the clergy. He made frequent trips within Canada and to the United States, Europe, and the Holy Land, to which he even organized pilgrimages. But at Cap-Rouge he spent almost all his time on the natural sciences. He abandoned his plant collector’s box for an entomologist’s net. His house quickly became the acropolis of higher learning in this field and people came to him for answers and encouragement. In 1874 Provancher began publishing Petite faune entomologique du Canada . . . , an enormous project testifying to his matchless courage, enthusiasm, and energy. His text appeared first in Le Naturaliste canadien and later he corrected and expanded it. The resulting three volumes contain a description of every species of Canadian insect known at the time, together with easy analytical keys. Petite faune long remained a work of inestimable value, unequalled in the country and comparable to the writings of American authors. It was mainly in his studies of hymenoptera that Provancher did his best and most innovative work and contributed to the advancement of science. He discovered and described more than 1,000 previously unknown species of this order, which he often named after the place of their discovery or in honour of his friends. His contribution to the study of this group of insects has ensured his lasting fame in the scientific world, since a tenth of the species of hymenoptera now known in Canada were discovered and described by him. A few of Provancher’s contemporaries and of those who have dealt with his work have on occasion questioned his scientific thought. Some saw him as a rival, others as an isolated and ill-equipped individual unable to discuss the new ideas emerging at the time. His voluminous correspondence and his extensive scientific library prove, however, that Provancher followed the scientific thought of his time and, like all his colleagues, was capable of changing his views. He must have been thoroughly familiar with the genus and species of the insects he described, since recent scientific literature has upheld the validity of his taxonomic groups as frequently as those of his contemporaries in the United States. His descriptions of new species were often superior in quality to those found in American works. Precise and adequate in length and detail, they met standards of nomenclature not defined until much later. Yet Provancher could not accept Darwin’s theories on the origin of species and the evolution of living creatures. Several times in his journal and in his lectures he made a point of ridiculing the evolutionists and praising the wonders of God’s creation. He was by no means alone in contradicting these new theories. A number of his compatriots, among them John William Dawson, as well as some of the great German and French naturalists opposed them. Provancher must be given credit, however, for having read about the subject and having discussed it publicly afterwards, something very few of his Canadian contemporaries did. During his ministry, Provancher had had occasion to observe the cultural deficiencies and weaknesses of his fellow citizens. These observations reinforced those he had made at the Séminaire de Nicolet, where the library and the curriculum were devoid of scientific content. Later his fruitful contacts with the great American and European naturalists gave him a better understanding of the progress being made in the world of science and of the means being used to popularize scientific knowledge. He observed the lack of concern on the part of those in authority and, seeing that his fellow citizens were falling farther and farther behind, he made it his mission to make the public aware of the need to study science. He asserted publicly on many occasions that a program of adult education must be set up, and above all that science in general, and the sciences of nature in particular, must be taught in the schools and classical colleges, as was being done in the colleges and universities of Upper Canada. He deplored the fact that educational institutions offered young people little opportunity to study anything but theology, medicine, and law. In his view, if young priests, doctors, or lawyers had been given a more thorough education in the natural sciences, they would be in a better position to understand and help the farming population, since the vast majority of them were practising their professions in rural areas. In the course of the debates on the problems being experienced in agriculture, Provancher often pointed out possible solutions to legislators. He thought that an agricultural museum and a good journal of practical agriculture, like those being published in Toronto and New England, should be started. He also advocated the creation of a botanical garden at Quebec and a museum of natural history in the Université Laval. Provancher’s work holds an important place in the heritage of Quebec. The amount of material he published during his scientific career is remarkable, considering the scanty resources available to him, the minimal financial assistance he received from the government, and the apathy of the French-speaking public with regard to science. He made his mark on scientific literature not only in Canada but in North America as a whole. Recent analyses of his work in botany, entomology, and malacology show it is comparable in scientific quality to that of the great American authors and, in some respects, superior in the precision of its explanations. Le Naturaliste canadien, the oldest French-language scientific journal in Canada, is still being published, although it has had to struggle to survive. Now distributed in 41 countries, this periodical offers researchers the world over an opportunity to present their original work. Léon Provancher’s collections, like his correspondence, his library, his journal, and his writings, are of inestimable historical and scientific value. In their rich diversity, they offer a remarkable illustration of the way in which scientists classified living organisms in the 19th century. They also constitute one of the main points of reference for many researchers because of the number of sample specimens they contain. As far as is known, no other collection of natural history specimens put together by a North American naturalist of the last century has been preserved, in its entirety, in such varied and complete form. The work of this simple country priest, who was without means, cut off from government resources, and hampered by the apathy of his own people, represents a prodigious accomplishment. Léon Provancher’s correspondence, which is held by the archives of the Séminaire de Chicoutimi (Chicoutimi, Que.) along with his manuscripts, consists of more than 4,500 letters. His library, comprising some 500 volumes, has been reconstituted at the Univ. Laval. 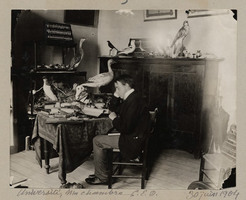 Most of Provancher’s collections are preserved in the department of biology at Laval; they include a herbarium of 800 plants, some tens of thousands of molluscs, and about 30,000 insects. A list of his work is given in J. B. Léveillé, “Bio-bibliographie de M. l’abbé Léon Provancher, docteur ès-sciences” (thèse de bibliothéconomie, univ. de Montréal, 1949). ANQ-MBF, CE1-4, 10 mars 1820. ANQ-Q, CE1-23, 26 mars 1892. V.-A. Huard, La vie et l’œuvre de l’abbé Provancher (Québec, 1926). René Béique, “L’œuvre et l’héritage de l’abbé Léon Provancher,” Le Naturaliste canadien (Québec), 95 (1968): 609–26. Raymond Duchesne, “La bibliothèque scientifique de l’abbé Léon Provancher,” RHAF, 34 (1980–81): 535–56; “Science et société coloniale: les naturalistes du Canada français et leurs correspondants scientifiques (1860–1900),” HSTC Bull. (Thornhill, Ont. ), 5 (1981): 99–139. Jacques Rousseau et Bernard Boivin, “La contribution à la science de la Flore canadienne de Provancher,” Le Naturaliste canadien, 95: 1499–530. Jean-Marie Perron, “PROVANCHER, LÉON,” in Dictionary of Canadian Biography, vol. 12, University of Toronto/Université Laval, 2003–, accessed April 21, 2019, http://www.biographi.ca/en/bio/provancher_leon_12E.html.